“Opportunities come infrequently. When it rains gold, put out the bucket, not the thimble” those are the words of wisdom from perhaps one of the greatest modern day investors Warren Buffet. Warren Buffett’s investment philosophy has always been about strong conviction. He understands the business and if he considers it worthy, he bets big on it. Lot of novice investors try to copy it, without actually having the acumen of Buffett, and lose money. People who don’t have an investment philosophy to guide them can go after fads and trends and these are not stable in the long term. Speaking of Warren Buffett, the Berkshire Hathaway Chairman and legendary investor is a fan of investing in stocks. He told USA Today that “the nice thing about investing in stocks is that, over time, equities are going to do well.” Buffett’s view of stocks is supported by CNN Money guide on investment basics that pointed out how stocks “have historically outperformed all other investments.” Over the long term, stocks have returned close to 10%. Bonds are the next best performing asset class according to CNN Money. Buffett does not recommend that investors try to pick winning stocks. He advises investors to “own a cross sector of businesses that in aggregate are bound to do well.” This can be done by investing in low-cost index funds. In fact, Buffett has instructed his trustees to invest 90% of the cash for his wife into a low-cost S&P index fund if he passes away. Buffett also recommends stocks as a long-term investment so he ignores the macroeconomics and political environments that could make the stock price move in the short term. Buffett always looks at stocks as owning a piece of a business so he looks at the earning potential of these businesses over the next five years or more. Broker fees can eat away at your investment’s returns, that’s why Buffett is a fan of low-cost index funds. Fund manager Peter Lynch and author of Learn to Earn: A Beginner’s Guide to the Basics of Investing and Business tells readers in the book about “direct investment programs” wherein investors can invest directly from the company and the investor gets to buy more shares every month without paying fees and without a broker. Investors need to do their research about which company is best to invest in first before going with this strategy. But which company should you invest in, you ask? Successful entrepreneur and investor Richard Branson shared his advice that could guide you in figuring out which one to invest in, particularly if you want to invest in startups. Branson says that if he understands a startup’s product or service at first glance, then customers will also understand it. If the product or service solves a problem, then there’s a good chance that some will buy the product or service. By extension, Branson’s idea can be applied to established companies: ask yourself if the company’s product or service is improving the lives of many before you invest in it. Learning from others who have been successful in their field can provide a blueprint on how to become successful in your own way. 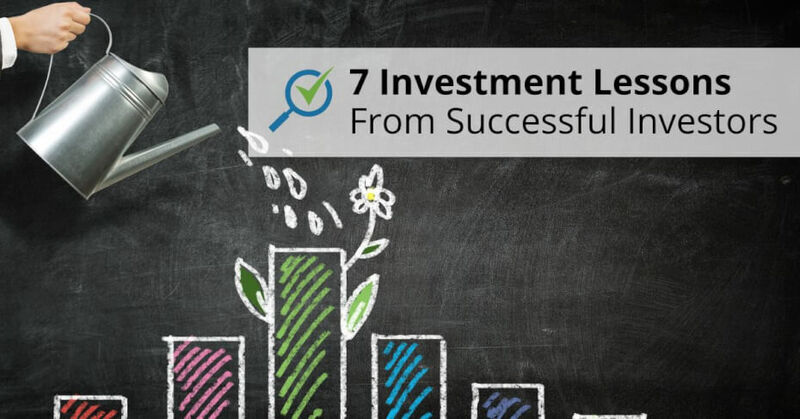 Investors can look up to the likes of Warren Buffett, Peter Lynch, Richard Branson, George Soros, and Benjamin Graham to get ideas on how to become successful. Do your research on the stocks available and the companies behind them before you make an investment and make sure that you understand the risks so that you can maximise profits and minimise losses in your investment.